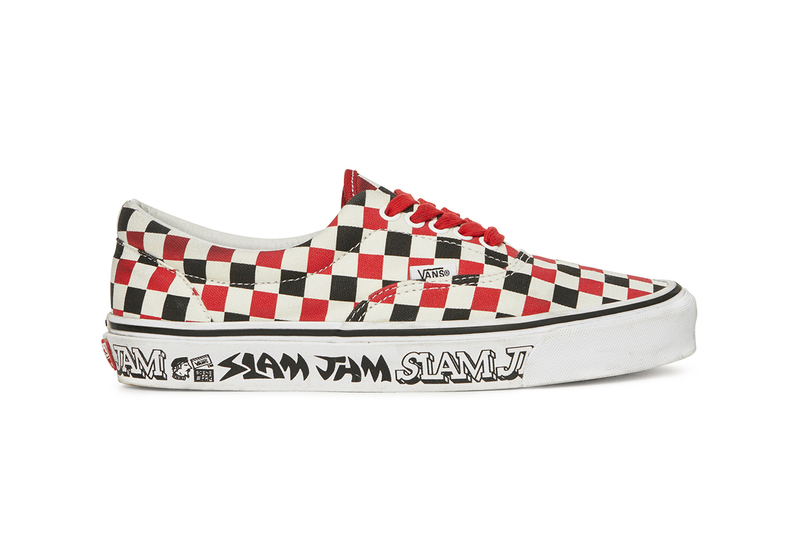 Fresh from linking up with mastermind JAPAN, Vans has worked with Italian label and retail platform Slam Jam. The new collaboration sees Slam Jam recruit graphic designer Fergus “Fergadelic” Purcell for a number of graphic takes on the label’s logo that wrap around the midsole of the Era Icon silhouette. The sneaker’s canvas upper comes in a checkerboard pattern in Slam Jam’s classic red, black and off-white color palette. The sneaker’s design is then finished with contrasting red laces. Take a look at the Slam Jam x Vans Era Icon in the gallery above, and expect it to drop with an in-store event at Slam Jam’s Milan location on December 15. For more from Vans, take a look at the skate team’s new video. Based on places you’ve visited in the past. Releasing alongside ‘Spider-Man: Into the Spider-Verse’ this week. Presented during the collaborations Seoul-based launch.